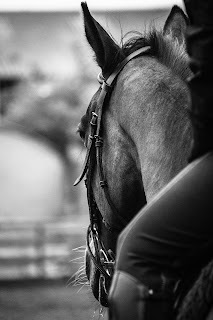 Home Horse Care Riding Tips Is your horse naughty or actually in pain? Is your horse naughty or actually in pain? Having riding problems are so irritating. You buy a new horse and there are problems from the start. Or maybe your horse has suddenly started to misbehave while being ridden. The truth is, your horse could be in pain AND is a lot more annoyed than you. I always recommend that you start any bad riding problems with getting your horse's health checked BEFORE any training is done. Horse's who have pain in their back, poll or teeth will throw his head about, either to try to relieve the pain or because he is getting so irritated. If your horse is head shaking, you need to get his back and teeth checked before you try to train him. Horses can start the habit of head shaking from a bad rider or having pain in the past. Once they have started this habit, it can be very hard to stop them from doing it but not impossible. 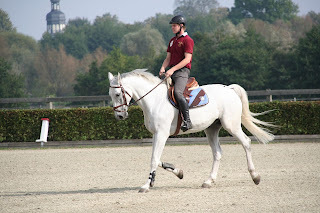 You can learn how I re-trained my head shaking horse here. A horse can start to buck because of pain such as a badly fitting saddle, being pinched by the girth or back and hock pain. 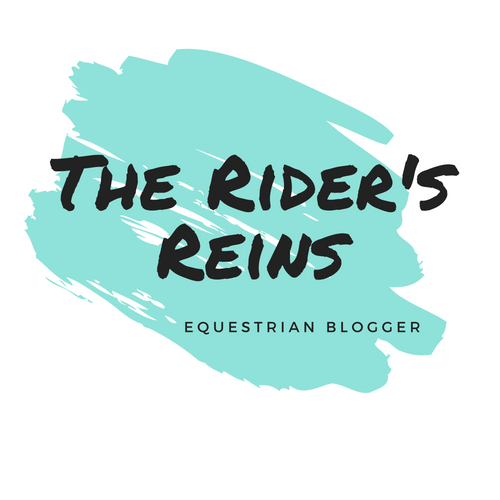 If your horse is bucking while going into the canter, when you first get on or regularly through the ride then you really need to get your horse and his tack checked out. 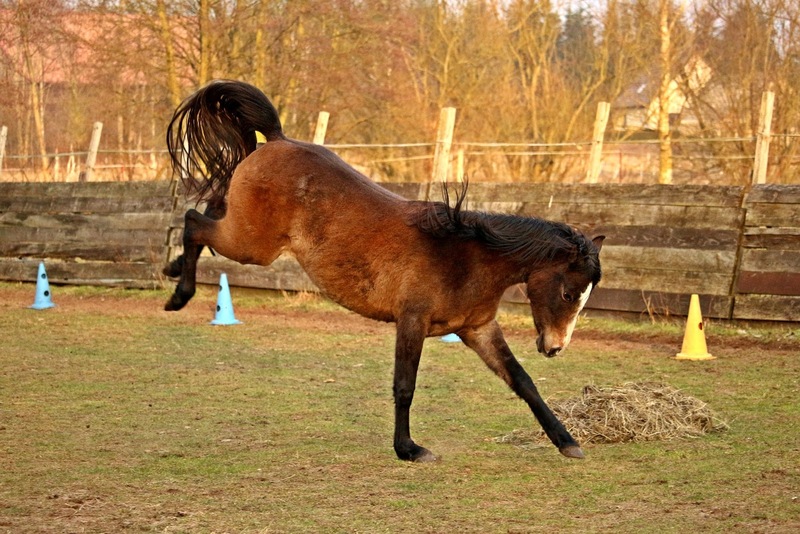 Bucking is common with excited or badly trained horses. If your horse is just bucking while doing something exciting such as jumping or out on a hack then it is just a training problem. A horse may also start to buck when he spooks or if he doesn't want to do something. If this is the problem, re-starting him or getting lessons is the best option. Horses will avoid standing at the mounting block if they are scared that it is going to be painful. This could be normal sore back muscles or something worse such as being cold backed or having kissing spines. It is very important that you get him checked for these health problems as they are very painful for the horse. If a horse simply hasn't been trained to stand at the mounting block he will not know what to do. A horse will need to be trained correctly to stand at the mounting block. 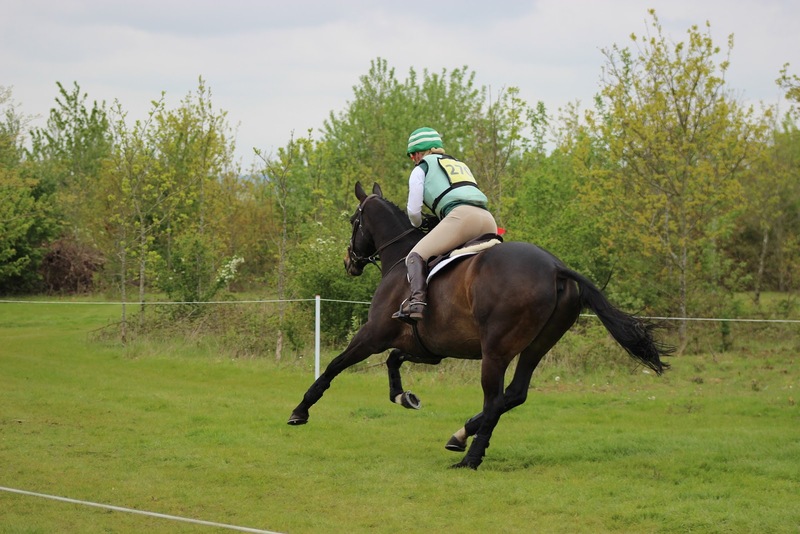 Another common problem is that the horse has had a bad experience while being ridden so doesn't allow a new rider to get on. If this is the case, getting your horse re-trained by a professional is a calm and kind way is the best plan. I am not a horse trainer or any other equestrian professional. I only give advice on horsey topics that I have experience as a horse owner in. Please don't follow my advice without contacting a relevant equestrian professional. 5 Steps To Grooming Your Horse Like A Professional!